Divorce can threaten to jeopardize some of the most important aspects of your life, from time with your children to the assets you have worked so hard to earn. While this can be scary and upsetting to consider, it’s important to remember that you do NOT have to face divorce alone. You can empower yourself and set your divorce up for the best possible outcome with the help of an experienced Alamogordo divorce lawyer at Sutherland Law Firm, LLC. With more than 40 years of divorce and family law experience, our attorneys know how to effectively represent, counsel and support clients through any type of divorce case. We have the insight and skills to vigorously advocate your rights in all phases of divorce, and we will work tirelessly to protect your interests and help you bring your case to the best possible resolution. The divorce lawyers at Sutherland Law Firm, LLC are ready to help you successfully navigate the complex divorce process so you can put the conflict behind you and focus on the future. To help you get started, below, we have answered one of the most common questions about filing for divorce, revealing the possible advantages and disadvantages associated with filing for divorce first. 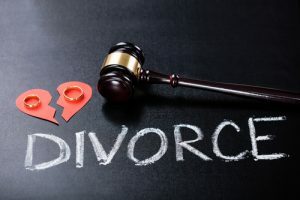 Having more time to prepare for divorce – If you know you want to file for divorce, you can make time before you file your case to put the proper divorce plans into play. Once your ex is notified of the divorce petition, (s)he will only have a limited time to respond to the petition. This can mean that an ex has far less time to prepare for the divorce than you do if you file first. Having more control over the upcoming divorce proceedings – When you file for divorce, you can choose the jurisdiction for your case (i.e., the county or state in which you file), as long as you meet the requirements for divorce in that jurisdiction. You can also have the opportunity to request future court dates for your case. Controlling these aspects of your case can be advantageous in letting you choose a jurisdiction that may have laws more favorable to you and/or setting a timeline that meets your needs (or that strategically puts your ex at a disadvantage). Establishing the end date for your marriage – If you will be coming into some assets that you want to retain as separate property, filing for divorce first empowers you to list the end date of your marriage before you take possession of these assets. This can keep those assets out of the marital property upcoming divorce proceedings. Limiting the possibility of an ex hiding assets – If an ex is unaware of your plans to file for divorce, filing first can help you minimize the possibility of him or her hiding assets. This is especially true if you have the time or resources to gather documents that accurately depict your marital property. Getting quick relief – If domestic violence or other issues are plaguing a marriage, filing for divorce first can help you obtain immediate relief, like temporary protective orders, custody orders, etc. Showing your hand – When you file first, you have the chance to explain how you want all of the issues of your divorce to be resolved. This can give an ex the opportunity to develop counterarguments to any (or all) of your demands. Potentially assuming more costs – In some cases, filing for divorce first may come with more costs, particularly in terms of court fees. Please be aware, however, that this is not always or necessarily the case. How Long Does My Ex Have to Respond to the Divorce Petition? After you file for divorce and serve your ex with divorce papers, (s)he will have 30 days from the date of service to provide a response or “answer” to your petition. The answer should detail any disputes your ex (i.e., the respondent) has with the details and requests of the initial divorce petition. If your ex fails to file an answer within the 30 day period, the court will likely grant all of the requests in the initial petition. If your ex does file a response before the deadline, working out the points of dispute via mediation or court will typically be the next steps. How Will the Property Be Divided in the Divorce? The property that’s divided in a divorce will be the “community property,” meaning the assets and debts acquired during the marriage (with some exceptions). New Mexico law stipulates that community property should be equally divided between divorcing parties. Please note that, even when there may be relatively little community property, the representation of an experienced lawyer can be crucial to assuring all community versus separate property is properly identified and that the community property is equitably divided. Will I Have to Pay (or Will I Get) Spousal Support? Whether there is a valid prenuptial or post-nuptial agreement in place. If awarded, alimony payments can last until the recipient remarries or passes away – or until the payer is able to successfully have spousal support orders terminated by the court (based on, for instance, significant changes in income). Whether mediation is effective at achieving out-of-court settlements. Few issues are at disputed in the case. Mediation is successful in preventing the need to fight it out in court. What Does a Divorce Mediation Attorney Do? Some divorce lawyers may also be certified mediators who provide mediation services. Typically, however, your divorce lawyer will not also serve as your mediator if your case goes to mediation. The reason is that the mediator is supposed to be a neutral third party (while your lawyer is supposed to represent you and advocate for your interests). Will make suggestions regarding possible points of compromise or potential solutions. While mediation can be a highly effective way to resolve divorce cases, it is not always successful (and it is not recommended when, for instance, domestic violence may be an issue). When mediation fails to resolve a divorce, the case will go to the court for a final resolution. What Should I Expect During a Divorce Trial? When a divorce case heads to court, each spouse will have an opportunity to present its facts, evidence and arguments regarding the disputed issue(s) of the case. After both sides have finished presenting their respective cases, the judge will issue a final ruling, the divorce decree, detailing the rulings on each disputed matter. The final divorce decree will be legally binding, meaning that failing to comply with it can result in being in contempt of court and/or receiving court penalties. For more specific answers regarding whether you should file for divorce first – or regarding any aspect of your divorce case, call an Alamogordo divorce lawyer at Sutherland Law Firm, LLC at (575) 205-1328 or email our firm. We are ready to use our experience, skills and insights aggressively advocating your rights at every phase of your divorce case. Let us guide you through complexities and challenges of divorce so you can obtain the best possible outcome and move forward with your life.